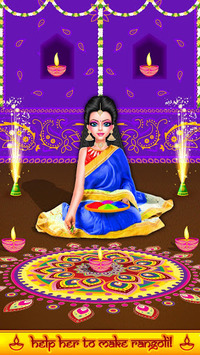 Celebrate this Deepavali Festival with Indian Doll and have lots of fun! 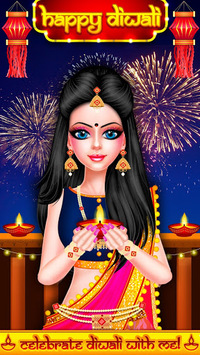 Bringing you Indian Doll Diwali Celebration as per the users recommendation! With lots of unique celebration and preparation options along with Doll makeover, hair spa, nail art, makeup and dress up options! Give Doll a beautiful makeover to clean up her face with many options. - Accessorize her look with lots of beautiful jewelry like earring, necklace, nose ring, bindi. - We have specially created unique outfits to give your cute Girl a perfect traditional and charming look! 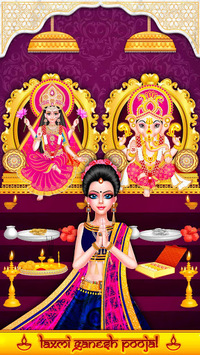 - Send them Deepavali wishes with excellent cards with sharing options like whatsapp, facebook, email and many other sharing options. - Its Deepavali Day! Yipeee! - After preparing all the things above let’s celebrate Deepavali festival with cute Girl.